Bamba Post Office is a fantastic way to teach kids all about gifting! Kids pick a gift and who it goes to, pick the wrapping paper and bows, or some silly choices that make you giggle! There are some amusing gifts in the lot as well. 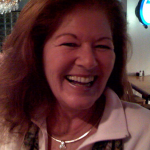 If you pick a nice gift the characters cheer and smile, send a wacky gift & you get a “Yuck”. The whole process continues with the postage and shipping to delivery. Once delivered, you take take a photo to share with others! Bamba Post Office is loaded with great graphics and sound and will entice little ones to keep on gifting! This is another great life skills app for kids.! This app is presented to us by Mezmedia. A Fun Time at the Post Office! Send a Toy Truck to Your Friend! Children love giving gifts to their friends. they love surprises and we found that we can also teach them the whole process of giving, from sending a parcel, to wrapping to writing a card. We love that kids can use the photo album to choose who they want to give the present to. Is there anything else you want to say to our readers? We have kids of our own, and we have seen how they respond to the iPad. We believe this is a great way to educate children through play, without resorting to flash cards/abc slides that is so prevalent in the App Store. Bamba Post Office is a kids App unlike any other. With incredible interactivity, amazingly sharp graphics and superior gameplay, Bamba Post Office will surely deliver a smile to every kid who uses the App. Perfectly executed with kids kept in mind. This is a great App. My kids love it. 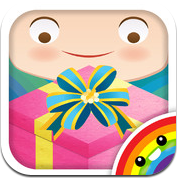 It is a great life skills app that happily teaches kids about gifting – I love that!